On a warm but overcast afternoon last week, John O'Brien had his eyes on the door at Dedalus Wine Shop, Market & Wine Bar in Burlington's South End. The artisan foods manager was expecting a delivery, he said, of two wheels of Shakerag Blue from Tennessee's Sequatchie Cove Creamery. "We are mere minutes — or hours — away from having it here in the store," said the 30-year-old cheesemonger, barely containing his excitement. Whiskey-soaked fig leaves encase the crumbly, densely marbled cheese, he said, which ages on-farm for 60 days prior to shipment. Shakerag Blue enjoys a cult following among cheese nerds, but it was easy enough to find in Tennessee, where O'Brien worked as a cheese buyer at the Memphis Whole Foods Market until earlier this year. Not so north of the Mason-Dixon Line. "It's never been this far north," O'Brien said, adding that he's been waiting for this cheese since July. The delivery will also include eight wheels of the farm's Dancing Fern cheese, a soft, oozy, super-creamy round modeled after French reblochon. The Dancing Fern will go to the shop's cheese club subscribers, whose $25 monthly dues land them four handpicked cheeses each month. "That was one of the coolest things for me to fall into here," the cheesemonger said. "I get to curate four incredible cheeses from all over." O'Brien hails originally from Fletcher, Vt., where, like many millennial Vermonters, he recalled being "raised on Cabot cheddar." 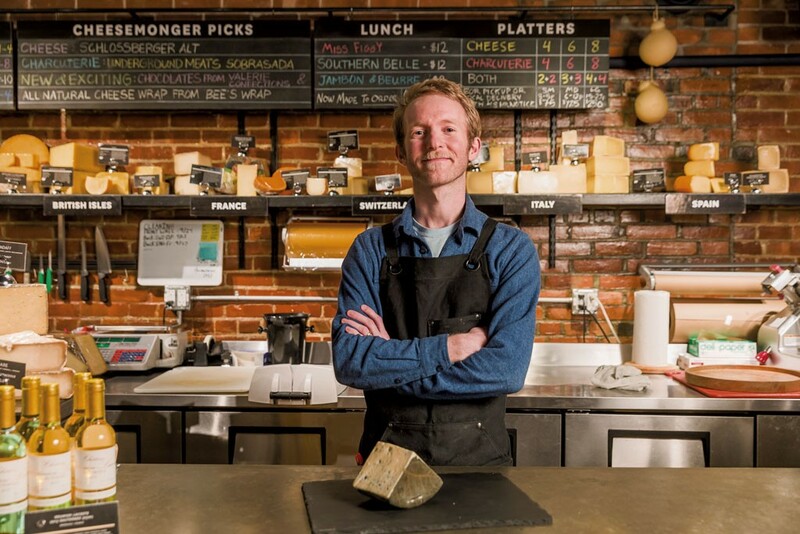 At Dedalus, he replaced opening cheese-man Rory Stamp, who departed in the spring. Stamp was named top monger at the esteemed Cheesemonger Invitational competition in San Francisco in January. But if Stamp left big shoes to fill, O'Brien — a man of average height and slight build with a bristly blond mustache — seems largely unconcerned about it. "I was kind of able to come in and fill in the gaps [in our cheese case] with all my favorite things," he said, exuding youthful confidence. Those favorite things include waxy Alpine wheels that taste of sun-dried mountain grasses; bloomy soft cheeses redolent of mushrooms or barnyard must; and firm cheddars from the British Isles, which can be sharp or nutty, smooth or pockmarked with crystalline inclusions that precipitate out during years of cellaring. O'Brien motioned to the counter, where cubes of straw-colored Jumi Schlossberger Alt were piled on a slate board along with a wedge of ghost-white Slyboro from West Pawlet's Consider Bardwell Farm. "For a long time, there was a law that dictated that certain regions [of Switzerland] could only produce certain cheeses," O'Brien said. "So in Emmental, [all the milk] was going to produce Emmenthaler." 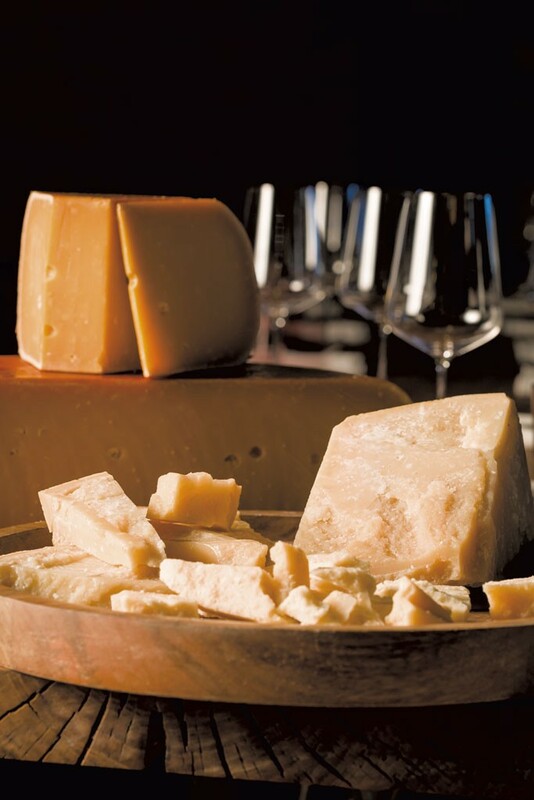 In the late 1990s, he continued, Swiss law changed and Emmental's farmers put new cheeses into production. The Schlossberger Alt, which ages a minimum of 18 months near the ancient Schlossberg Castle in north-central Switzerland, presented as a medium-bodied Alpine style, more crumbly than waxy. It was salty, with bitter notes of chocolate, nut-hull tannins, a hint of caramel and a buttery finish. "One of my favorite features [of this cheese is], I can't even take the planer to it without digging out these massive crystals that form during that long age," O'Brien said, stabbing a cube with a toothpick. But more than anything, he added, the fun part is getting to know the cheesemakers themselves. "When I pick up the phone and call one of these creameries, I'm talking with someone who was probably cutting curd that morning." O'Brien also likes the fast-paced yet slow-food nature of the cheese biz. "Every day is something new," he said. "Every day, the bacteria are acting some kind of way — you're just kind of rolling with it." The bacterial roller coaster continues long after the cheeses leave the creamery. Behind the cheese counter, part of the fun is tasting the same cheese again and again and watching it develop over time. The cheesemonger leaned over the case and picked up a moldy-looking round from Westfield's Lazy Lady Farm. He unwrapped it, unleashing an intense bloomy aroma not unlike that of wet hiking socks. "This is a weird little blend of goat and sheep's milk," he said, peeling off a taste with a flat wooden sampling spoon. "It's not much to look at, but the cream line on this thing just kind of oozes every time we get it on a cutting board." Dedalus employee Michael Judy walked up, curious. "When was the last time you tried this one?" O'Brien asked, holding the cheese up so his coworker could see. "A week or so ago," Judy said, reaching to accept the sample. "See how it's changed?" the cheesemonger said moments later, swishing a taste around on his tongue. "Yep, that's some wild stuff," Judy said, walking away toward the back of the store. The cheese, called Sweet Geesus, was part of a one-off experimental batch Lazy Lady produced earlier this year. With a name unfamiliar to most customers, along with that strong scent and a black-speckled rind that shifts from white to yellow to salmon, the funky little round is likely a tough sell for many customers. But, as is the case for many new-world food artisans, Vermont's cheesemakers seem to be making the most of the freedom that comes with creating products in a new market. Vermonters have been making cheese for decades, but the state's artisan cheese industry is still relatively young by global standards. "You can't be tethered to tradition," O'Brien said of the state's cheese community — and of his role as a bridge between consumers and makers. "You've got to try and do your own thing. You're not always going to strike gold, but you'll find something along the way that becomes your favorite." When it comes to enjoying cheese in your home kitchen, John O'Brien advocates taking an unbridled approach. "There are no rules," he said, "and no one has to deal with the consequences of your experiments but you — and perhaps your family — [so] take chances, make mistakes and find some new favorite combinations." In the interests of specificity, the cheesemonger indulged Seven Days with picks for cheeses well adapted to Vermonters' go-to comfort foods and other combos. In tacos: Recently I've been a fan of using anything bold and sheepy from the Basque region — especially over fish tacos! For dinner: I can't count the number of times I've picked up a Harbison from the Cellars at Jasper Hill and a baguette for a quick and balanced (and decadent) dinner. With a big, round red wine and crackers: Runny [French] reblochon, or, if you're not able to hop a plane to France, Dancing Fern from [Tennessee's] Sequatchie Cove Creamery. With hoppy beer: Aged pecorino has enough bite and body to cut through hops; [the cheese's] underlying sweetness achieves balance. Before a holiday meal: a three-cheese "board" with dank, soft-ripened Brie, semi-firm Alpine, brainy goat buttons. Boards are really a choose-your-own adventure of different milks and textures. Just try to represent a spectrum of flavors, and you'll please your crowd. Crumbly for use as a topping (for salads, pastas, casseroles, etc. 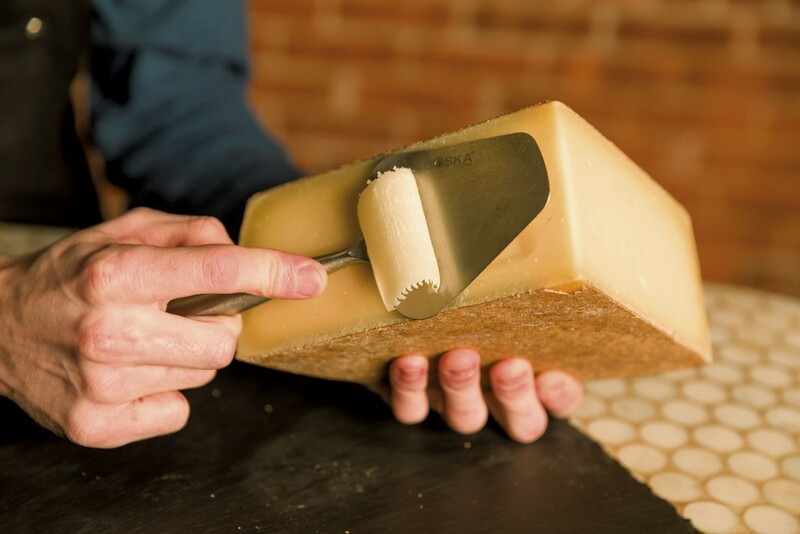 ): Fresh Parmigiano-Reggiano — the king of cheese — works on everything, including a cheese board. Spend-y splurge: Whatever you catch the cheesemongers nerding out about behind the counter is totally worth your time and money. If they're excited about something, it means you should be, too! *Correction, October 5, 2018: This story has been corrected to accurately reflect John O'Brien's go-to burger topping, pimento. The original print version of this article was headlined "Cheese Whiz"